ACP International, LLC specializes in Pharmaceutical Sales. AJ Williams Corps. Physician general medicine pathologist. Offices of Physicians (except Mental Health Specialists). Behavioral Medicine & Addictive Disorders, Inc. is a Mental Health clinic that specializes in PTSD and addictive disease. Lytch Family Chiropractic offers chiropractic services. National Vein Technologies sells a wide range of vascular surgery supplies from laser fibers to procedure trays and compression stockings. Rachel's Song Birth Services is an alternative home birth practice, offering full-scope midwifery care. USA Medical and Dental Supplies, Inc is a wholesale supplier of medical and dental supplies. VetRadMed Consulting is a Veteran owned radiology consulting, focusing on protocol management and staff integration. Health and Medical Companies owned by past military and present military members. 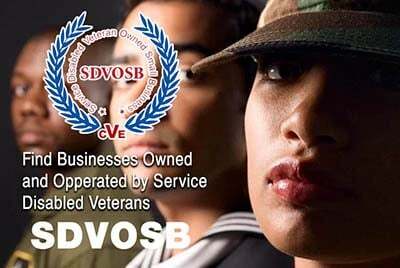 Veteran Owned Businesses (VOB), Active Duty Military, Reservists and Service Disabled Veteran Owned Small Companies (SDVOSB) of the United States Army (USARMY), Air Force (USAF), Marines (USMC), Navy (USN), Coast Guard (USCG) and National Guard specializing in offering products and services for the health care industry.